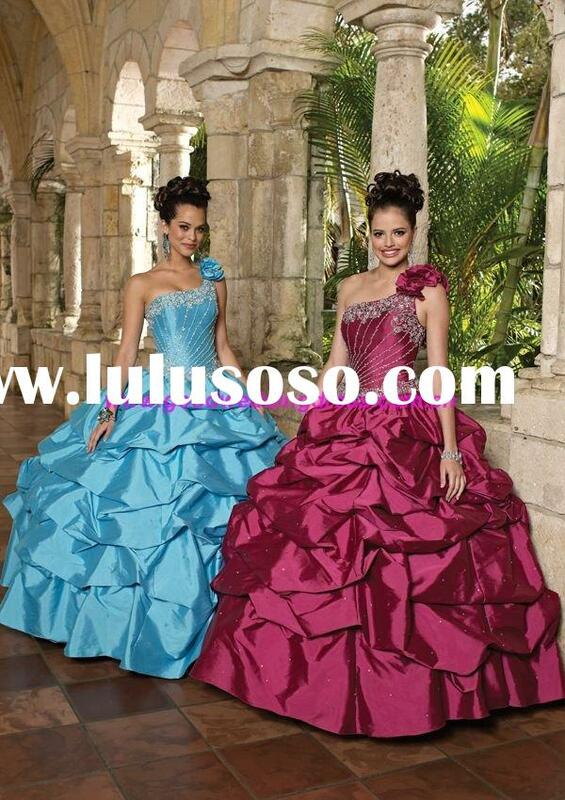 Fabric:all of our wedding dress,wedding gown,evening dress,prom dress,bridesmaid dress and other dresses are imported high quality thick bridal satin(4801 or 395 satin).Other fabrics we use include satin,chiffon,tffeta,tulle,organza,velvet etc.if customers require using other fabrics such as silk satin,cotton,we have no problem to acconndate customers needs. Beads:some of our wedding dress,wedding gown,evening dress,prom dress,bridesmaid dress and other dresses we use rhinestones,also we can accord to customers'request to use Swarovski Crystals and Czech Diamonds. our wedding dress,wedding gown,evening dress,prom dress,bridesmaid dress and other dressesMinimum Order is 1-2 pcs/style/colour/mix sizes. and 20-25 days for other dresses. For orders which over 500 pieces of bridal gowns,Lead time should be negotiated in detail to meet our workshop and customers schedule and arrange to ship punctually. Carton Size:46*36*50.5*CM for folded package. 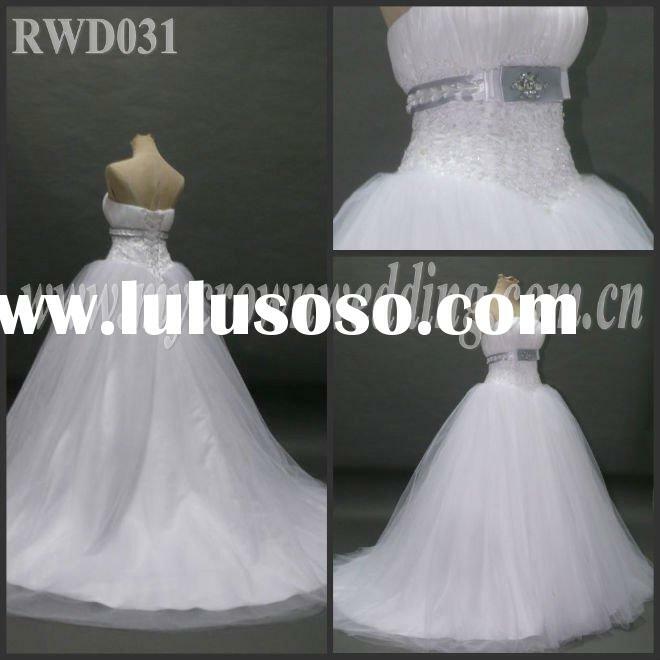 For Bridal Gown,one piece one polyester bag,and 5 pieces to one carton! For Evening Gown,one piece one polyester bag,and 20 piece to one carton! For Flower girl Gown,one piece one polyester bag,and 20 piece to one carton! For Mother Dress of Bride,one piece one polyester bag,and 20 piece to one carton! Courier:courier is fast,but expensive.Delivery time usually is only 2-3 days to worldwide.shipping cost for 1 bridal gown,is around US$55,but if 5pcs or more bridal gowns are shipped together,the cost for each dress could be down to US$36. Air Cargo:Air cargo cost much less than courier but deliver time is longer,Alr cargo is a good shippping method for large order volume. Boat Cargo:Boat Cargo will be the cheapest way to ship goods,but it will take a long time duiring delivery,about 20-30 days. 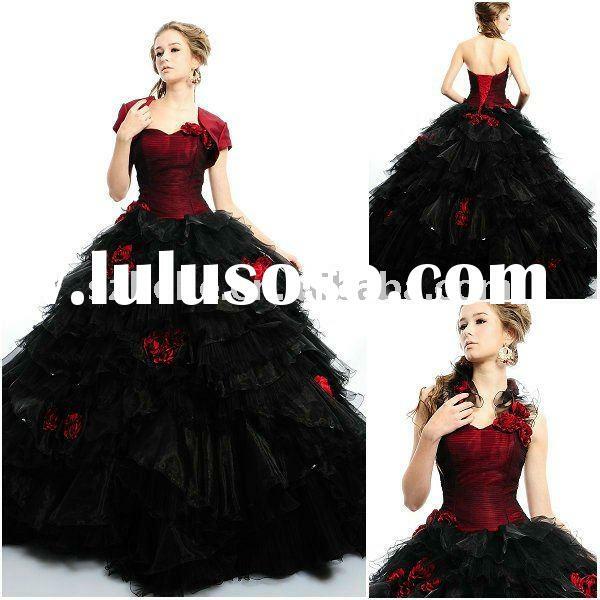 If you cant find a style you like in our collection,we can make dresses in your own design.You can send us pictures patterns,even sketches of your design of other styles you like,and we would make replicas by your specifications.After finish we will take detailed photos and email them to you to check them advancely,then send the ready goods to you.if you are not satisfied,we will make modify the goods until you are satisfied with them. We could place your private label on any of your orders.Private latel is charged extraly. The payment methods we accept include T/T,L/C at sight,Western Union. As for the payment terms or bulk order,it could be discussed in further detail. 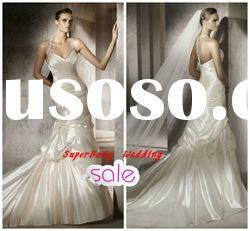 Suzhou C&J Wedding Dress Trade Co., Ltd.